An emergency by-law to protect egg-bearing lobsters off the Northumberland coast looks set to be extended, while more permanent measures are finalised. Northumberland Inshore Fisheries and Conservation Authority (NIFCA) introduced the legislation last September after the Government announced that landings of berried lobsters and crawfish had been banned in English waters. NIFCA decided the by-law was required as the national ban didn’t cover recreational activity, which is quite common in this area. Plus, given it applied to English waters only, there were specific issues for Northumberland around the Scottish border. At NIFCA’s recent quarterly meeting, it was explained that since then, the authority has been working on bringing in permanent provision, which will see it included as part of by-law three – crustacea conservation. Given the time it will take for this to be completed and receive ministerial sign-off, it was agreed to apply for a six-month extension to the emergency by-law which otherwise would end on September 29 this year. In other by-law news, members heard that a pledge made to fishermen in the Berwick area is finally to be met after a number of years. 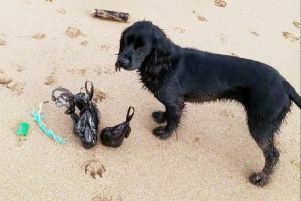 By-law seven prohibits the use of mobile fishing gear within the English section of the Berwickshire and North Northumberland Coast Special Area of Conservation (SAC). This was designed to protect the areas of rocky reef, but because it was not known exactly where these were, the rule had to cover the entire SAC. Local fishermen said there were limited areas of rocky reef and now that the evidence has been collected to support this, the by-law is being amended.